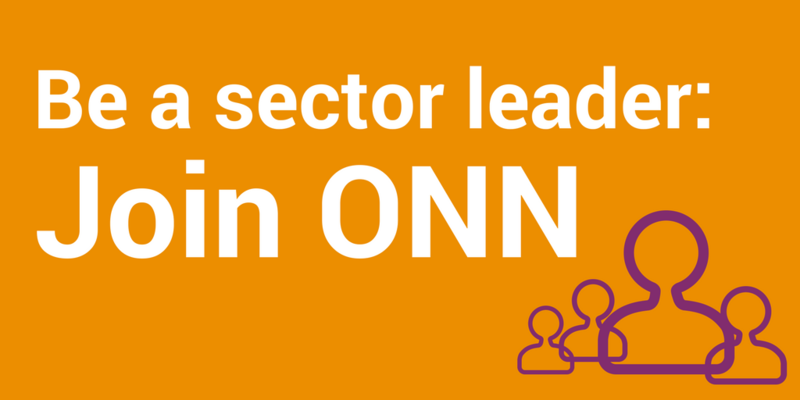 The ONN Board is the governing body that supports ONN through communications and strategic leadership. Members of the Board are stewards of the public benefit sector and the work that is being undertaken in relation to the sector. Board Members are not representative of their organization’s or sub-sector’s particular interests. As Executive Director of Pillar Nonprofit Network, Michelle Baldwin is a strong community advocate with extensive experience in volunteer management, communications, training and fundraising. Michelle previously held positions with the Brain Tumour Foundation and Thames Valley Children’s Centre. She currently serves on the Boards of Huron University College and Emerging Leaders, and facilitates a variety of nonprofit related workshops. Michelle holds a Masters degree in Educational Psychology, a Bachelor of Arts degree in Psychology, as well as a Communications & Public Relations Professional Certificate from Western and a Volunteer Management Certificate from Fanshawe College. Robin Cardozo is a Chartered Accountant and is also a member of the Institute of Corporate Directors. He has worked in senior positions in Canada’s not-for-profit sector, and has served on several Boards over the past 30 years. Most recently, Robin served SickKids Foundation as Chief Operating Officer. Next to government, SickKids Foundation is the largest funder of child health research, learning and care in Canada. For 12 years before that, Robin served as CEO of the Ontario Trillium Foundation. OTF is one of Canada’s largest grant-making foundations, with a mission to help build healthy and vibrant communities in Ontario. Prior to joining OTF, he served for more than a decade as CFO/COO at United Way Toronto. In addition to ONN, Robin currently serves on the Board of Soulpepper Theatre. He was born in Pakistan, and was educated in Pakistan and Britain. In 2013, he was awarded the Lieutenant Governor of Ontario’s Medal of Distinction in Public Administration. Maureen is Executive Director of West Neighbourhood House, a multi-service neighbourhood centre in west Toronto. Her professional experience includes program design and management, community development, public policy development and advocacy strategies on issues such as income security, income inequality, and neighbourhood change. 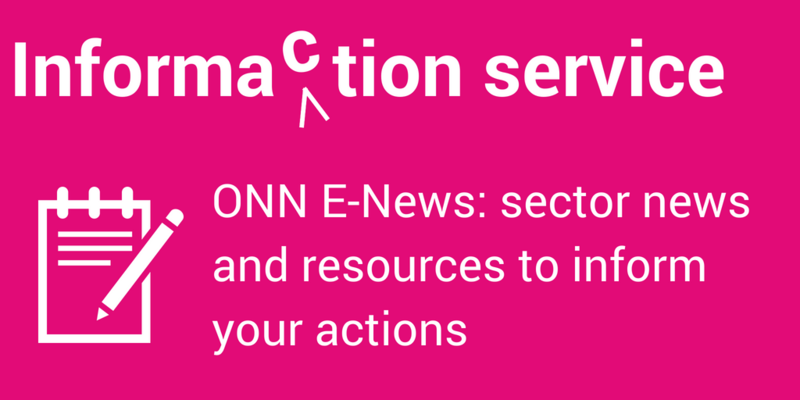 Maureen has been actively involved in ONN’s funding reform steering committee and forum. She has a B.A. from Princeton University and a Master of Science in Planning from University of Toronto. Lois Fine has over 30 years of accounting experience in the nonprofit sector. She is the Director of Finance and Information Technology at YWCA Toronto, where she has oversight of an annual budget of over $30 million. Lois has been its Director of Finance since 1996. In 2011, YWCA Toronto opened the doors of Elm Centre, an $80 million 300-unit green and affordable housing project for women in downtown Toronto. Lois is also the Treasurer of the Board of the Parkdale Queen West Community Health Centre and the Playwrights Guild of Canada. She serves on the Accounting Standards Oversight Council of Canada. She has consulted widely in the nonprofit sector, serving agencies, private and public foundations, and government-funding bodies. An experienced instructor, Lois has taught ﬁnancial management at the Schulich School of Business, as part of the Emerging Leaders and ONCoop Programs, seeking to equip leaders in the non-profit sector with the tools required for leadership. Peter is Executive Director of the Ottawa Arts Council. Beginning his career as a visual artist, Peter has established nonprofit organizations and arts cooperatives, held numerous board and committee positions with community organizations, as well as membership on a variety of municipal advisory panels and committees. At the provincial level he has held Board, Chair and Steering Committee positions. He received the Sandra Tulloch Award for Innovation in the Arts in 2007, the Order of Ottawa in 2013, and was reappointed to the Ontario Minister’s Advisory Council for Arts and Culture in 2012. Gina is an Associate at MaRS Discovery District, working with Studio Y. She supports program development and coaches young people aged 18-29 through a 8-month fellowship to develop youth into the types of learners, leaders, and innovators our world needs to navigate 21st-century challenges. Additionally, Gina sits on the National Youth Advisory Board for ‘Voices Against Violence’, a national CIHR study which explores issues of inequality, exclusion and belonging, identity, health and wellbeing as they affect youth in Canada. She is also running a research project with this group exploring social media as an avenue for rigorous youth engagement in policy development. Andre Vallillee is Environment Program Director at the Metcalf Foundation, one of Canada’s leading private foundations. Prior to joining the foundation, Andre worked as a Program Manager with the Ontario Trillium Foundation, overseeing the province-wide environmental grants portfolio and serving as the Foundation’s Strategy Lead for the environment sector. He is a past Chair of the Canadian Environmental Grantmakers’ Network, former National Trustee of the Canadian Parks and Wilderness Society, and currently serves on The Atmospheric Fund’s Grants & Programs Committee. Andre received his Bachelors in Environmental Studies and Political Science from the University of Victoria, his Masters in Planning from the University of British Columbia, and completed an Executive Education program in Leadership and Organizing through Harvard Kennedy School. The Policy Committee brings their expertise and experience in public policy and provides valuable feedback on the development of policy priorities set out by the ONN staff team.